Available for pre-order now is the updated Sony RX100 VA Digital Camera, now with a few very promising features for pro shooters. 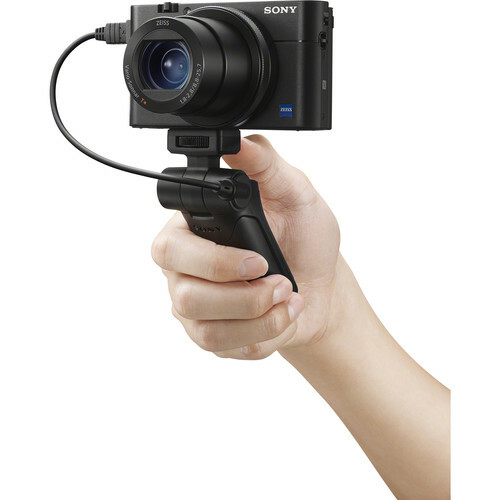 The RX100 has been a favorite B and C camera for many videographers who use other Sony cameras as their A-cam. It’s small enough that it passes as a Point-and-Shoot in restricted environments, or simply when portability is the ultimate priority. While it looks like a consumer travel camera, the RX100 has specs that make it very attractive for professional video, such as UHD 4k at 30 and 24fps, ISO sensitivity up to 12,800, a good AF system, and a 1-inch sensor. The RX100 VA has a built in 24-70mm f/1.8-f/2.8 lens, but we know that built in lens specs are never comparable to normal lenses on larger sensors. The focal length equivalent is more like 35mm, which is not that wide, and the aperture is most likely equivalent to f/5.6 and up. Still, it’s highly useful for walkabout shooting and especially on a gimbal. 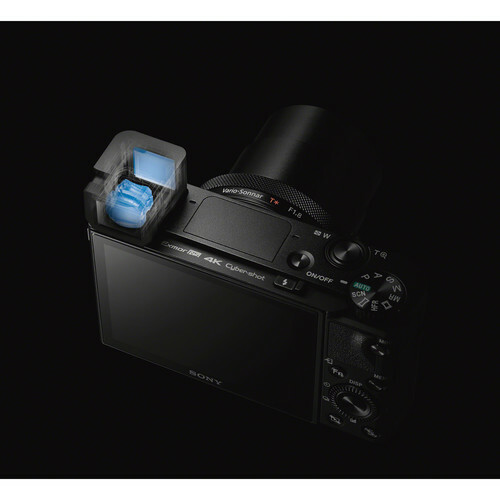 There’s a built-in ND filter, digital zoom, and it has S-Log2. To be honest, the RX100 VA feels like it has very similar specs to the Canon XC10 and XC15, for similar use cases, except that the RX100 is lot smaller, lighter, and costs a lot less. And also there’s a built-in popup EVF that is a ton more convenient than the XC10/XC15’s magnifying loupe accessory. There are a few updates to this model, but the most interesting one is that it now features dual video recording to two video files. That would be great if it did that to two SD cards, but we’re not sure what’s the advantage to recording duplicate video files on one card. The other update is there’s a Gamma Display Assist feature, which gives you a more contrasty image on screen, while recording flat Slog2. 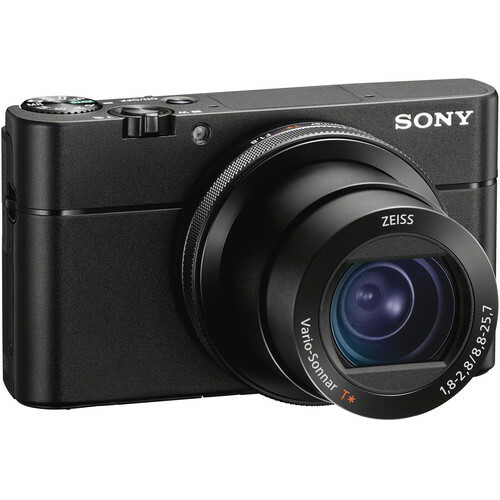 Sony Cyber-shot DSC-RX100 VA pre-order is now available. The 20.1MP 1″ Exmor RS CMOS sensor of the RX100 VA can deliver outstanding image quality at up to ISO 12800 with incredibly fast performance. This sensor stacks the pixel area, a high-speed signal processing circuit, and memory to increase data throughput by over five times and deliver features such as 40x super slow motion, an Anti-Distortion shutter, UHD 4K video, and more. The sensor also has focal-plane phase-detection AF points for faster, more precise focusing in as little as 0.05 seconds. The RX100 VA is a video powerhouse, delivering up to 5-minute UHD 4K movies with exceptional clarity. By using a full pixel readout without binning, the camera collects about 1.7x the information needed for 4K output. Oversampling helps to increase clarity while reducing the effect of moire and jaggies. Fast Hybrid AF is available during movie shooting for ensuring accurate, fast tracking using phase-detection AF points. The camera also offers Sony’s advanced XAVC S format for recording a high bit rates up to 100 Mbps. Picture profiles and image controls are also available, including the S-Log2 gamma that can help expand the dynamic range by recording a flat image. Gamma Display Assist helps users view a more natural image when shooting with S-Log2. Other options such as timecode, zebras, peaking, and more are present for making shooting and editing easier. When recording internally, users will record video with a 4:2:0 sampling at 8-bit, but the RX100 VA can output via HDMI to an external recorder. This allows users to capture 4:2:2 uncompressed video and save in an edit-ready format.The camera also has a Photo Capture function, which allows shooters to quickly save an 8.29MP still from their UHD 4K movies. Additionally, the camera is NTSC/PAL switchable, making it usable around the world.